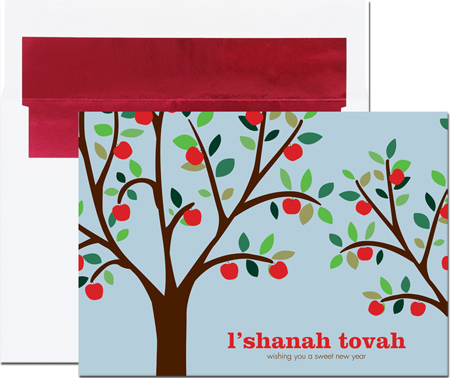 A pair of apple trees extend wishes for a sweet and prosperous new year on this folded (fold at top) Jewish New Year Card! The card is printed on felt paper, a thick stock which adds a subtle, crafty texture to your card. Red envelope linings are included in the price of this card. Sentiment WJ6 shown. You can keep the sentiment shown or choose any of the standard sentiments at no extra charge. 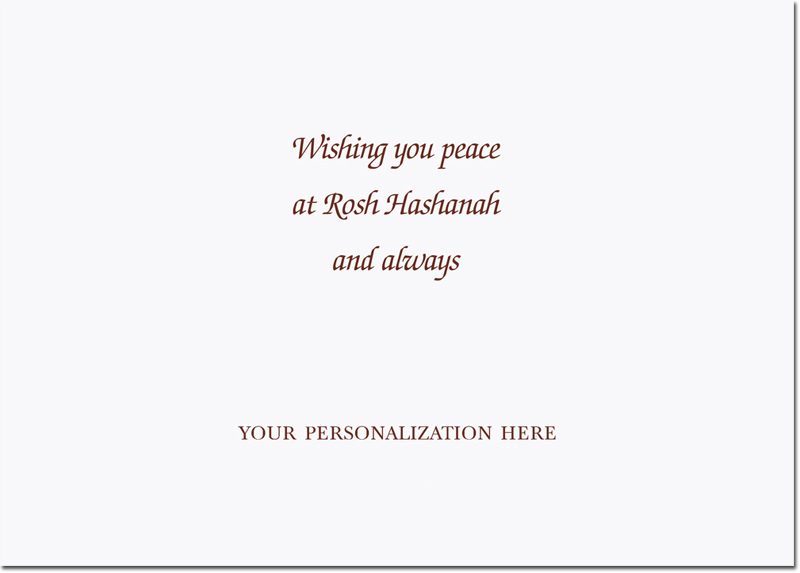 You can also create your own custom sentiment for an additional fee.